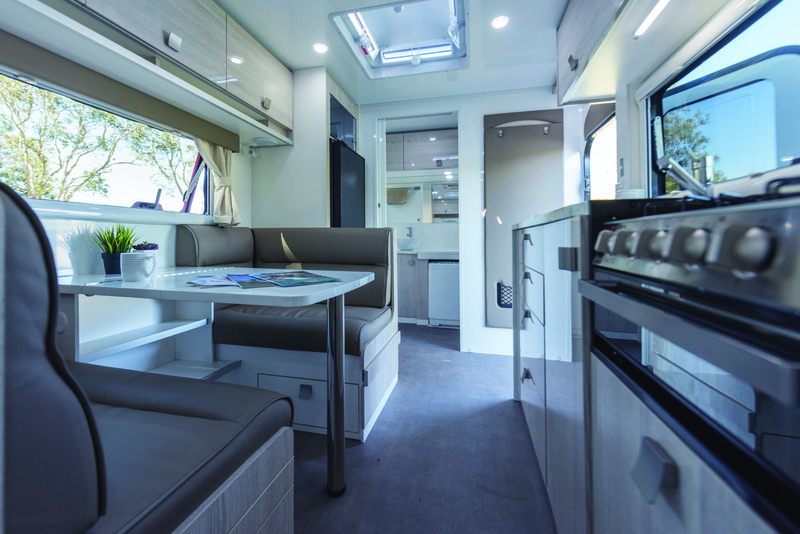 For many manufacturers, caravan construction follows a familiar theme ­— galvanised steel RHS chassis, timber or aluminium frame and aluminium or fibreglass cladding. It’s a tried and trusted technique but comes with something of a weight disadvantage. There have been some alternative designs that have evolved in recent times. 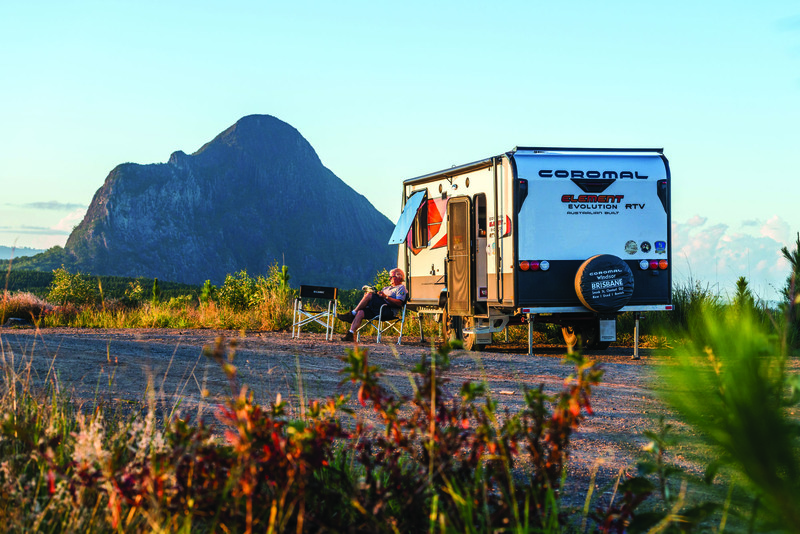 Earlier this year Coromal made the surprising announcement of a new range of Evolution caravans, the principal difference when compared to Coromal’s older models being the way the van was constructed. To check this out, Coromal Windsor in Brisbane loaned me an Element Evolution 632S RTV for a look-over. The RTV stands for Rural Terrain Vehicle. Just viewing a few statistics, the 632S has a body length of 6.6m (21ft 8in) and a Tare mass of 2440kg, which apart from anything else gives it a very good payload of 650kg. A look under the 632S RTV would suggest someone got carried away with a very large hole saw. However, that's not the case because the C section rails and cross-members have been designed for both strength and weight-saving, using finite element analysis ­ and that includes having very large holes in many components. Using a concept employed in the aviation industry, all the major surfaces have been dimple-stamped for the 'add strength/lose weight' process. No welding is used in the chassis construction, it's all riveted using Huck rivets and bolted together. It’s also galvanised and powder-coated. The Coromal team reckons it saves about 130kg over a conventional RHS box section design. 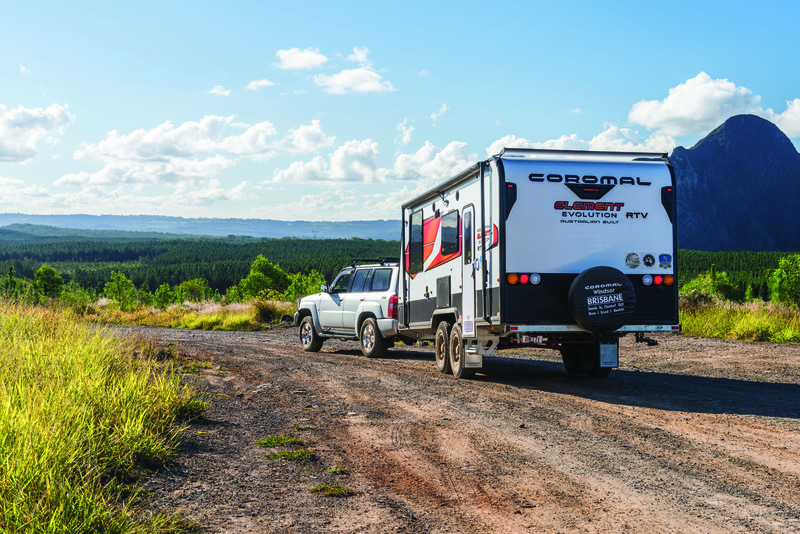 Coromal has always designed its own suspension systems and this one is no different, using its upgraded Esy-Tow independent leaf spring design. Between the front rails and given the high-tech construction techniques, I was expecting roto-moulded water tanks, but conventional 80L water tanks are fitted complete with gal sheet protection. With its latest van, Coromal has gone European-style and opted for its Future Teck frameless construction with walls and roof consisting of insulating foam between fibreglass sheeting. There is a slight difference in size, the single-piece roof being 55mm thick and the walls 30mm. They are all kept together by purpose-built aluminium extrusions. Slightly differently, the one-piece floor is made from 40mm polypropylene in a honeycomb structure, again for light weight and strength. Many caravan manufacturers these days are using acrylic double-glazed windows but the 625S RTV has automotive glass instead. Slightly heavier perhaps, but it is considerably more scratch-resistant, not to mention adding a stylish look. On the lower edges of the walls, Coromal has resisted using black alloy checkerplate, something that gets to look dirty very quickly. About the only thing that does use black checkerplate are the front stoneguard and the toolbox on the drawbar. It is large enough for two 9kg gas cylinders plus water hoses and power cords. It’s not obvious, but internal features such as the CNC-cut overhead lockers and cupboards are an integral part of the overall structure. The Coromal team reckon you can swing off the overhead lockers without any problem! In terms of layout, Coromal has opted for the tried and trusted with a front island bed, rear bathroom arrangement. Keeping things light and bright, the general colour scheme is a mixture of white/light brown glossy laminate and brown upholstery. Up front, the bedroom area has a surprising amount of space. 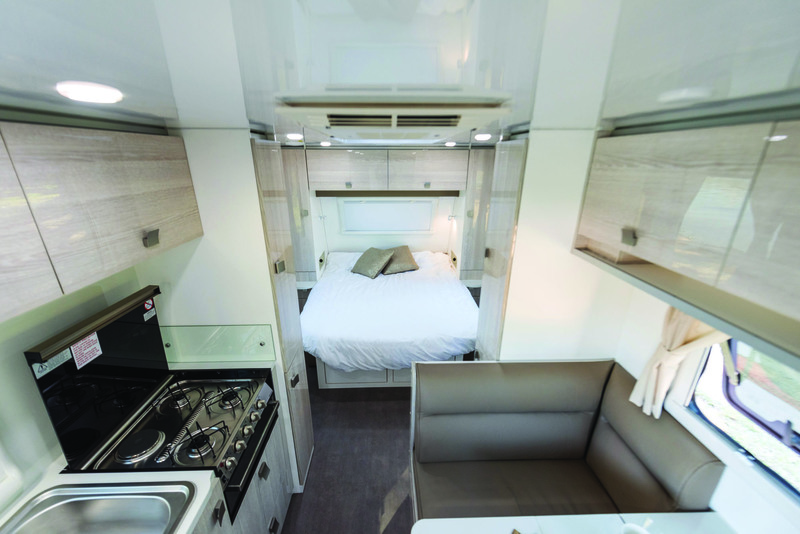 There is the expected island bed with the usual bedhead of overhead lockers, side wardrobes and bedside cabinets. Bedside shelf area is certainly minimal but that is nicely compensated for by the roomy compartments at the base of the wardrobe. They have both 240V and 12V/5V USB outlets — handy for device-charging overnight. Under the bed, the storage area is mostly taken by a couple of handy drawers and the battery and charger electrics. At the foot of the bed, there's a bit more than the usual diagonal corner cupboard arrangement. On the dinette side there is a split full-height cupboard adjoining a shallower cupboard that has a touch pad entertainment system and most of the electrical controls, all centrally located. On the opposite side of the van, there is another split cupboard which could either be used as a pantry since it butts up against the kitchen bench or for more general storage. Next to that in the bedroom area is a waist-high cupboard, above which is the mounting point for a flatscreen TV. As I said, there’s plenty of space in the bedroom but it’s fairly effectively used. Opposite the kitchen bench, the cafe-style dinette is fairly conventional with contoured seats, back rests and a multi-fold table. It also comes with a few extra goodies such as drawers under the seats, extending footrests and 12V/5V USB charger outlets. Well kitted out, in other words. Fitting in between the dinette and the rear bathroom is a 190L fridge with microwave oven above, which does mean the latter item is set a fair height off the ground. A good length of kitchen bench means that the four-burner cooker/grill and stainless steel sink fit in quite nicely, leaving a reasonable area for cutting veggies and general food preparation. Also, under the benchtop is a good range of drawers and general cupboard space. Just on drawers and cupboards generally, the latches are a very user-friendly style, even for those who have stiff fingers. I’ve seen a couple of factory photos of one of these Evolution vans being constructed. The 'inside out' technique is used by the Coromal crew: that is, the cabinetry is fitted first and then the walls put on last. 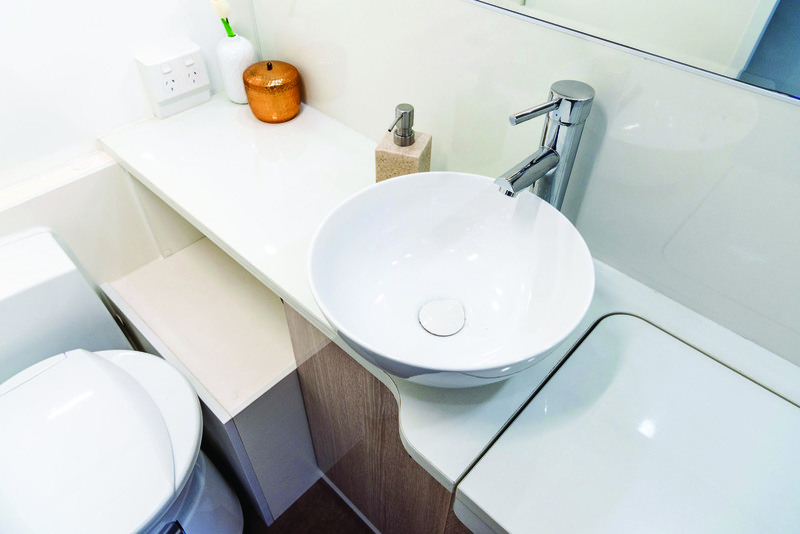 It’s just a little amusing to note that in the bathroom fit-out, the top-loading washing machine which sits between the nearside shower cubicle and the rear vanity cabinet, went in first of all. I'm not quite sure why, but it makes for a slightly amusing photo. When the bathroom is finished, including the offside Dometic cassette toilet, it all looks very well fitted together. That includes the bathroom sliding door, which on many caravans looks a bit flimsy, but on this van it's quite a solid construction. 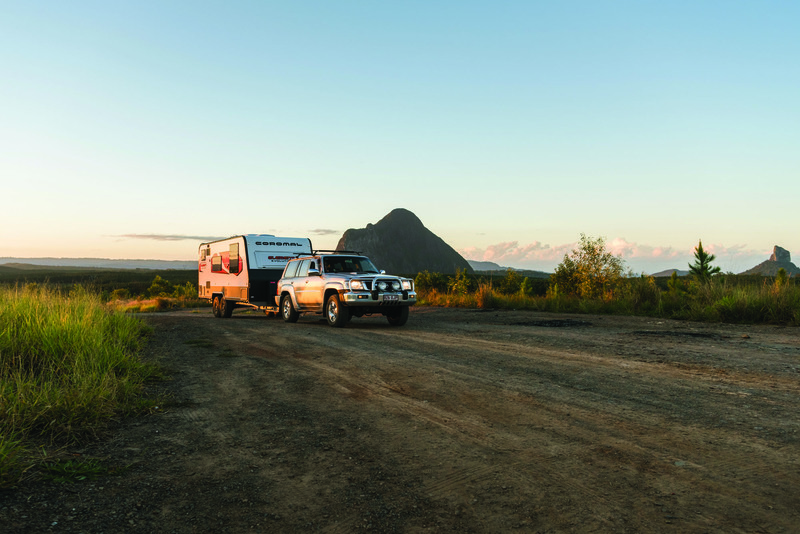 It's fair to say that the 632S RTV has a reasonable level of remote living capability.In addition to the two 80L water tanks, there’s both a 100Ah deep cycle battery and a 150W solar panel to keep power levels topped up. 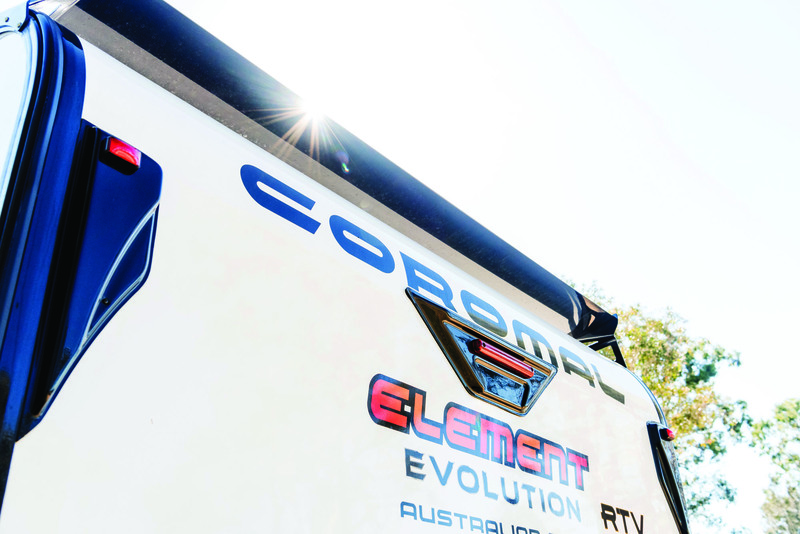 There’s no doubt that Coromal’s new-generation vans are a step away from the more normal Campbellfield product, possibly because the factory is on the other side of the continent. The build technique looks to have produced both a good weight reduction factor and a decent payload at the same time. The end result is a good looking van that is very practical, too. "Well-appointed van with a difference"
"Didn’t have a grey tank but apart from that quite good"
"Has all the desirable features where they should be"
"On-road tourer with a bit of rough road capability"
"Fairly spacious with room to move around, no major compromises"
"Items such as the windows reflect the quality of the rest of the van"
"Seems fairly well constructed to me"
"Different sort of construction technique to the usual"